Find a specialty pillow to help you sleep. Many people often awaken with aches and pains from lack of proper neck and head support while sleeping. 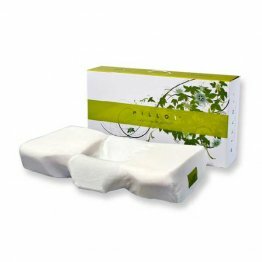 There are specialty pillows designed to provide more support and to better position the body so that you wake up feeling refreshed. 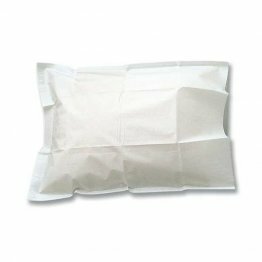 Patients of sleep therapy may need a little extra support from a specialty pillow to help accommodate the CPAP mask that they need to wear. 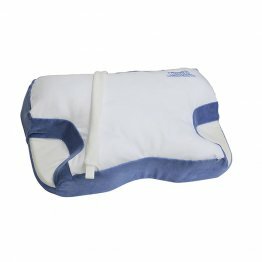 Find these products at PatientSleepSupplies.com. 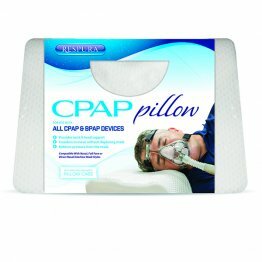 Stop struggling with your CPAP night time compliance! 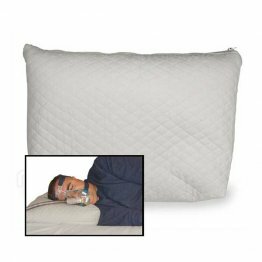 The New CPAP Pillow 2.0 is the perfect accessory for night time comfort for those using oxygen therapy. The Contour CPAPMax 2.0 Multi-Mask Sleep AID Pillow now features two different sleeping surfaces, one side is memory foam that features a Cool 3D Mesh Cover that promotes better airflow, or flip it over to the Fiber Fill side to sleep on a soft, plush, hypoallergenic fiber fill pillow top. Designed by a CPAP patient and proven and improved, the Pur-Sleep CPAP pillow uses an innovative, modified buckwheat hull design with a three-layer quilted pillow shell. The Contour® Cloud Memory Pillow is made with of soft-touch memory foam and is designed with strategic contours for maximum comfort. Supports the head, neck, shoulders and back. 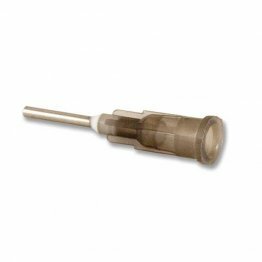 Layered surface prevents slipping and ensures support. Ribbing allows for proper air circulation, keeping temperature at a comfortable level while you sleep. 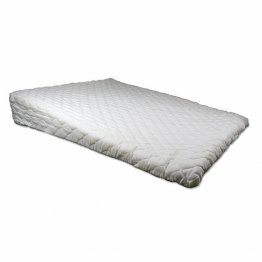 The Foam Wedge is an angled cushion used to elevate parts of the body during rest or sleep. 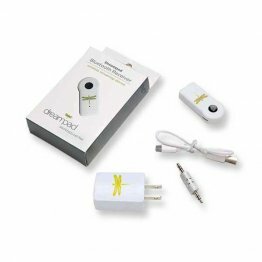 Use it to elevate your back to help you sit up, or your legs to help your circulation. 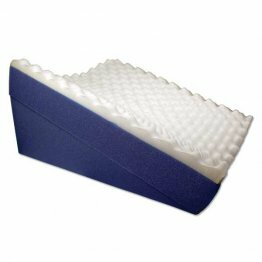 The Foam Wedge is made of 100 percent cotton and pure polyurethane foam and comes with a removable cover with zipper. Dual Position Wedge, 22" x 19" x 12"
24" x 24" x 12" > ½"
24" x 24" x 10" > ½"
24" x 24" x 7 ½" > ½"
24" x 24" x 4" > ½"
With Quilted Cover, 32" x 26" x 5" > ½"
The Psyche Sleep Pillow is constructed from a new gel-fused Tempurpedic-type memory foam and has a quilted Cool-Max cover to regulate body temperature and control perspiration. 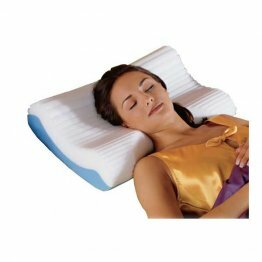 The Psyches patented butterfly shape was designed specifi cally for side-sleeping position, however the orthopedic roll provides proper support for the neck whether sleeping on the side or on the back. Now it comes in four sizes. PILLO1 is a deluxe specialty pillow designed by Dr. Raymond Hall to reduce discomfort during sleep. 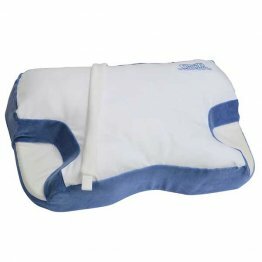 This pillow alleviates back and neck pain by providing you with the proper support while sleeping.